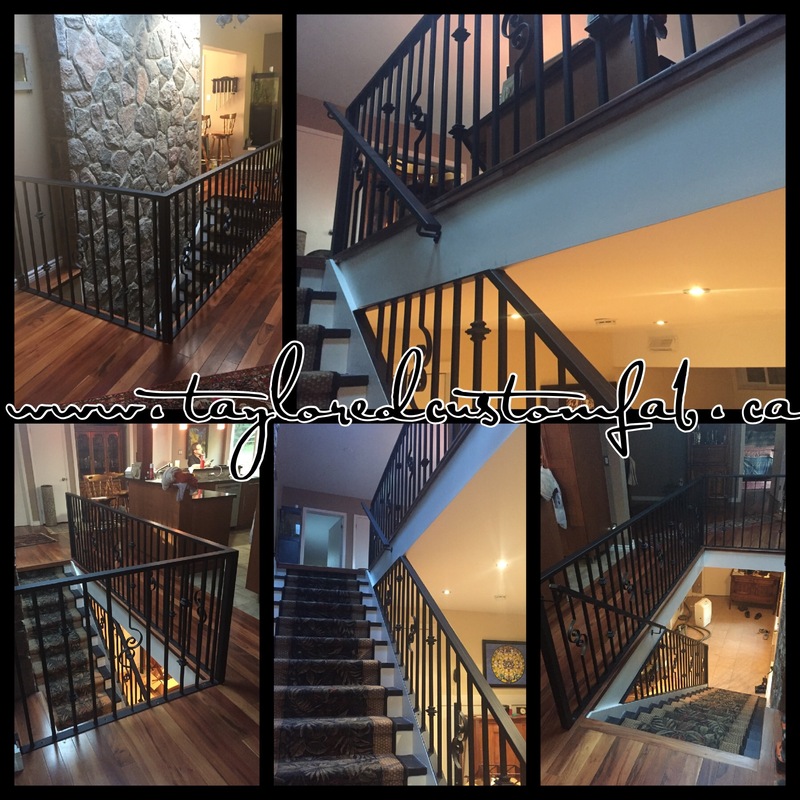 Thank you Taylored Custom Fab for our beautiful new stair railing. Your design ideas suit our house perfectly! As well as being aesthetically pleasing, it has added to the overall value of our home. Your care and attention to detail was truly appreciated. I had the pleasure to work with Aaron and Cassandra from Taylored Custom Fab. They were very easy to work with and incredibly helpful through the design process. The quality of the work was top notch. I highly recommend Taylored Custom Fab and look forward to working with them again. 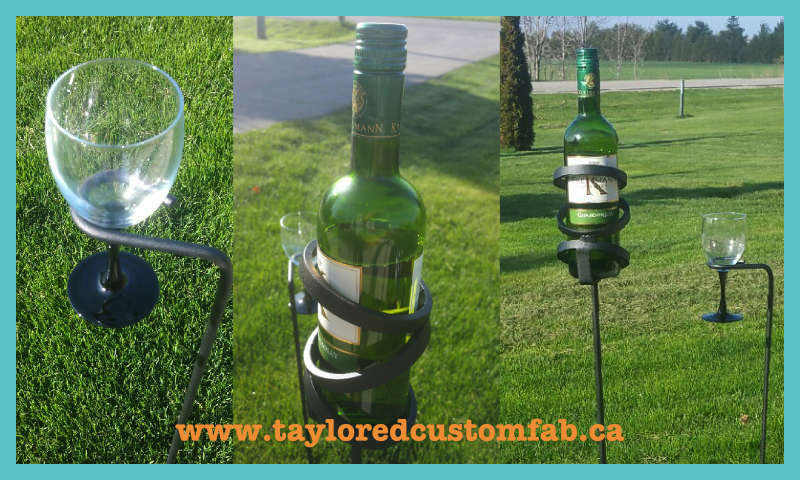 I contacted Taylor custom fab with an idea for a wine/wineglass holder I saw online. Aaron created a much better design with higher quality and a better standard of material. Very high quality. I will definitely be getting all my metal work in the future from them. I wanted to take the time to thank you for the great job and art work you made for me. The Savannah cats are not able to flip there food dish now. If anyone is reading this comment I would definitely recommend these folks. They take great pride in their work. I would definitely re-order in the future. 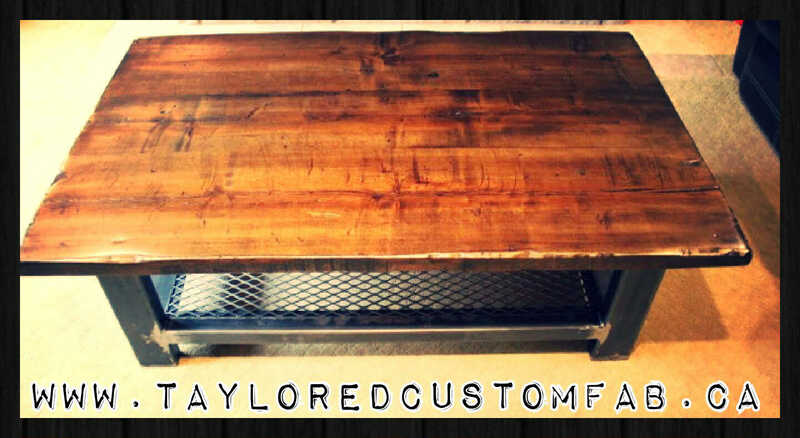 The box frame console table and coffee table we purchased from Taylored Custom Fab are absolutely stunning. Cassandra was incredibly helpful, accommodating and so patient during our decision making process. She was so nice to work with. And we feel so lucky we were able to purchase the tables of our dreams at an affordable cost. Being able to chose the dimensions and finish was so amazing and we were able to buy custom furniture that fits our space so perfectly. Cassandra was able to recommend someone to make our wooden table tops and their work was equally as well done. As they are local to us we were able to pick up the entire finished product in a very reasonable timeframe. We are so thrilled with the final product and overall experience. We have had the tables for a few months now and they are as gorgeous as the day we got them (even with a destructive toddler around!). We have recommended them to family and friends and if we are ever in the market for more custom steel frame furniture we will definitely be contacting them again. Can’t recommend them enough! I got a custom hitch mounted bike rack for my fat tire cruiser bikes. Finding a bike rack that could handle 2x47lbs bikes was challenging. Finding one for less than the cost of a bike was even more challenging. I sent the measurements, and was met with an exact product that fit perfectly. That is not easy to do, take a few measurements and turn it into a workable product, so I think a lot of credit is due. It was even powder coated in Black, and has stood up to the abuse of everyday use, as I am not light on my gear. We’ll be making a few adjustments for version 2, and it will be even better! 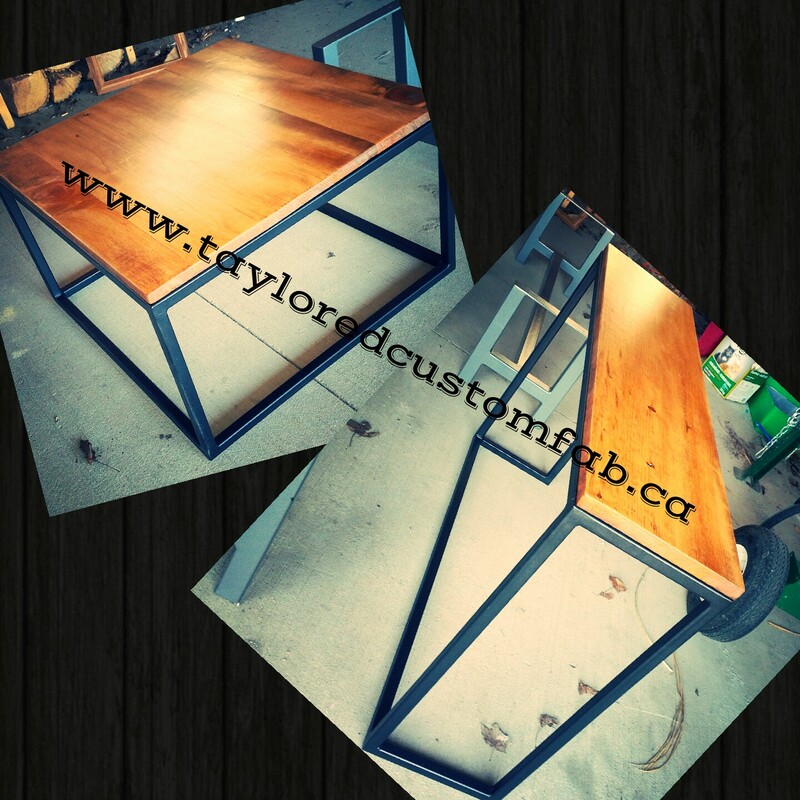 Our company has had a great experience ordering from Taylored Custom Fab. We received a prompt quote, and the project was delivered on time, on budget, and at a high level of craftsmanship. Communication was also excellent throughout, and I have been looking forward to working with this company again. From start to finish Cassandra of Taylored Custom Fab was professional and thorough. She walked us through the entire fabrication process and kept us up to date with pictures of our project. The final result was exactly what we were looking for. We would definitely recommend Taylored Custom Fab for anyone who is looking for the that true custom piece. We were extremely happy with our project and will be returning. Taylored custom fab has been a great company to deal with. Their top notch work and competitive pricing make them a company you definitely don’t want to hesitate working with for your next project.